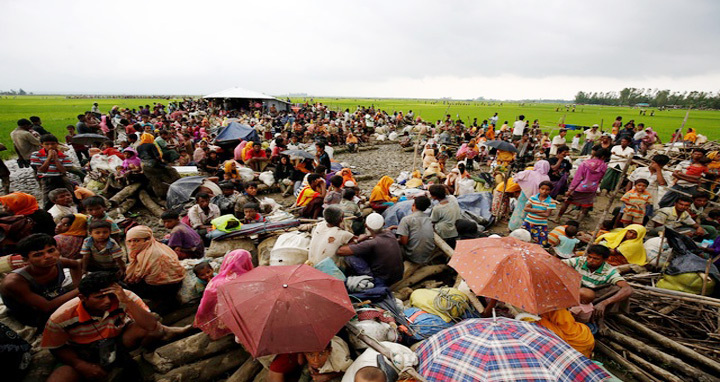 Dhaka, 9 May, Abnews: The second phase of Indian aid for the Rohingya refugees will arrive at Chattoragram Port today morning, said the Indian High Commission in Dhaka. Indian Naval Ship ‘Airavat’ sailed from Vishakhapatnam on 5 May, 2018 and reached Chattogram today carrying relief supplies intended to meet the requirements of displaced persons from Myanmar to Bangladesh. Indian High commissioner to Bangladesh Harsh Vardan Shringla will hand over the aid to Mofazzal Hossain Chowdhury Maya at the port.